This game that is very popular among the Android game players will help anyone who wants to relax and distress in their free time. A classic game but made with a new, amazing design, Block Puzzle Galaxy will give you a chance to have hours of endless fun. The best part? You can enjoy it anywhere, anytime! 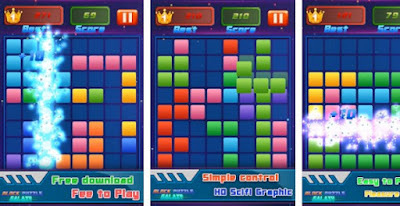 What is Block Puzzle Galaxy and how to play? Block Puzzle Galaxy is a very good game and it can be very easy to pick up but it can be very hard to master. Like any other classic block puzzle game – the rule of this one are pretty simple. All you need to do is drag the blocks from the bottom and drop them into the board. Try to do this and create a vertical or a horizontal line on the board. The blocks will shatter and the board will be left with more room for the blocks that need to come next. If not, the board will pile up with blocks, leaving no space for the incoming ones and you will lose the game. Clear as many blocks as you can in order to achieve higher scores. 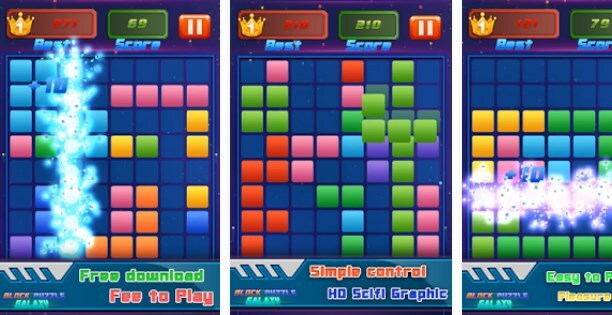 We love the game because unlike any other block puzzle game, Block Puzzle Galaxy is precisely designed with colorful blocks, stunning graphics and amazing animation. Very easy to play, yet very entertaining. It’s suitable for players of any ages! Just slide the blocks and clear as many as you can and become the ultimate ace in this amazing puzzle block game!